Getting a number with RingCentral will be good for your business. When a call comes in, it will get answered, and there will be a record of it. The person who answers your phones right now doesn't share the same concern for your business' well-being as you do. When comparing to traditional phone lines, employing a secretary with benefits and having an office, all of the plans are a good bargain. If you already have all of these things, you might want to just ensure all calls are getting answered, even when your secretary is at lunch. Adding a toll-free or local number is easy, so are extra minutes (it's automatic) if you need them. 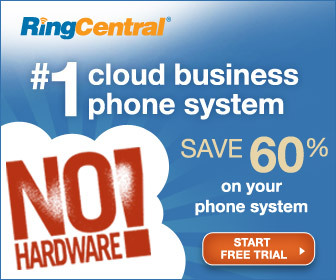 The RingCentral PBX system works directly with your existing pc or mac, your existing phone lines or cell phone. There is a free trial available, a full 30 days. My suggestion would be at least give the trial a shot and see if a hosted pbx solution is right for you. 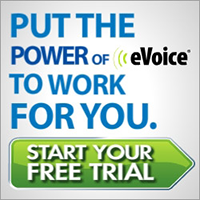 eVoice is a good system if you're looking for great value. The prices they are asking for the small mid-level and corporate plans are well within the competitive range against the other hosted PBX companies. However, if you do need to have an 800 toll-free or vanity number, the only option they are offering is for the mid-level and corporate plans. At the time of this writing, eVoice does not offer international numbers. The limitation of two extensions does make it difficult for the beginner user to create the presence of a large company. However, the technology behind eVoice is J2global, the makers of eFax, so they do have a bit of experience in this market. Support, has been a little less than perfect so far. But usually with these type services, you're not using support on a regular basis. Like most of the plans, they do offer a free 30 day trial so you can see if their product is right for you before committing to any long-term advertising containing your eVoice number. Phone.com offer several different plans that provide significant value when comparing their number of minutes included and their toll unlimited extensions all in a low monthly fee. I would recommend this service heavily to people who do serious conference calling. 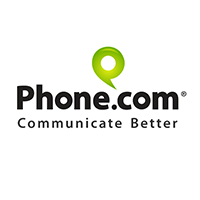 Using phone.com, you can actually put as many as 500 people on a single call, at the same time. Phone.com offers many standard features such as call blocking, call forwarding, and call screening. Some of the other included features are toll-free numbers, local numbers, global numbers, unlimited extensions with a separate voicemail for each. You can send callers to a particular person either through pressing a button. You can even send and receive faxes directly from your email. Faxes are converted to PDF and then emailed to you. The fact that they have live chat support set well with me. When I have a problem I really want to have help fast. Overall, Phone.com is a great value and since they offer a free 30-day trial. Why not give them a shot? The basic plan also didn't include any minutes with it? That seems a little bit odd considering the $24 per month account charge. The next sort of showstopper that got me was they were not offering any free trial. What's up with that? 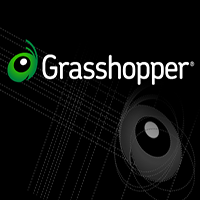 Going through their website at grasshopper.com, I did like the way things were laid out and the simple easy-to-understand graphics that explain how PBX and auto attendant work. This leads me to believe that they really do understand their customers, even if their prices are not the most competitive. If you're going to need some of the more advanced features of Internet PBX, this may not be the best solution for you. Virtual PBX has several plans and they also provide a really good value in terms of how many minutes and how many extensions they provide for the low monthly fee. The 30 day trial bit virtual PBX offers, is a little bit limited in my opinion. They only give you 50 minutes to test the system with. This seems a little bit limited as these online minutes or pretty much free for these companies. If you have a lot of different people within your company I would definitely recommend this service because they offer so many extensions, for free. It's actually unlimited extensions. If you're going to need an international number, I would probably recommend phone.com, because they charge a lot less for international numbers. Some of the standard features that you find included with VirtualPBX are answering rules, call transfer, caller block, call holding, find me / follow me and automated caller distribution (ACD) rules. If you're someone that has a Skype number, an online number, two cell phones and a landline, this is probably a service that will work well for you. I'm not sure how much we are going to need it, but customer support is only available five days a week. If you are running your business on the weekends, you may want to consider someone such as RingCentral for the 24/7 support. VirtualPBX offers a free 30 day trial like many of the other top brands. This will give you enough time to thoroughly check out their system. As we review the different Virtual PBX Systems available, we want to give you an overview of all of the different plans and feature sets that the different VOIP service providers are offering. For each product that we review, we'll give you the very basics of what they are offering, then we will give you a more in-depth review where we tell you our opinions based on what we found when we tested each system. Before you run out and purchase the first system that comes along, it's good to get informed and make a decision that you can be confident in.